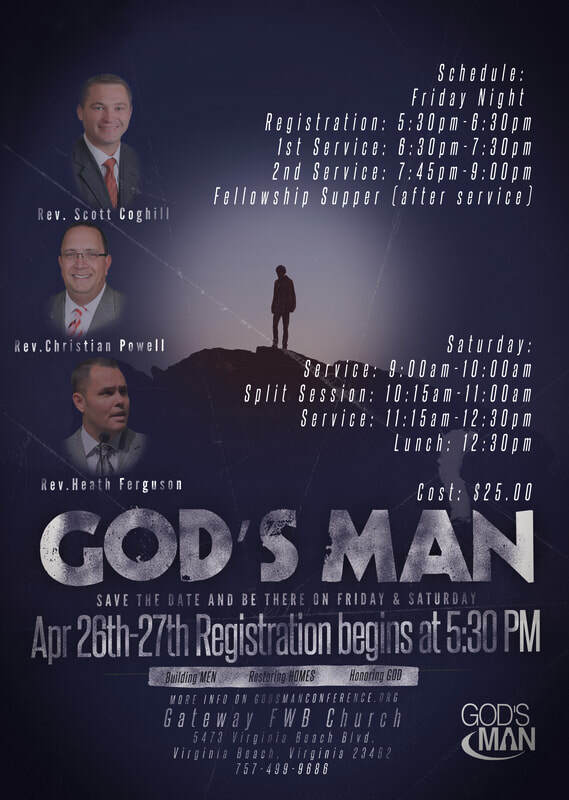 We want to invite you to join us for our upcoming God's Man Conference in Virginia Beach, VA. We are so excited about what God is going to do during these days. It is our prayer that God would burden the heart of every man to take responsibility for their homes. God has placed you in a leadership position and has called you to not only personally have faith in God, but to pass that STRONG, genuine faith onto the next generation. Come and prepare to be challenged to pass the faith along for generations to come! In 2019, God's Man Conference will be coming to Virginia Beach, VA on Friday and Saturday, April 26-27. Conference cost is $25 per man (no more than $50 per family).